LONDON– British Prime Minister Theresa May unveiled her Brexit Plan B on Monday - and it looks a lot like Plan A. “And I will then take the conclusions of those discussions back to the EU.” The bloc insists that it won’t renegotiate the withdrawal agreement. “She is wasting time calling for a revision or clarification over the backstop,” said German politician Udo Bullmann, head of the socialist group in the European Parliament. Groups of “soft Brexit”-backing lawmakers - who want to keep close economic ties to the bloc - are planning to use amendments to try to rule out a “no-deal” Brexit and make May ease her insistence that leaving the EU means quitting its single market and customs union. “Parliament remains in deadlock while the slope to a cliff edge steepens,” she said. 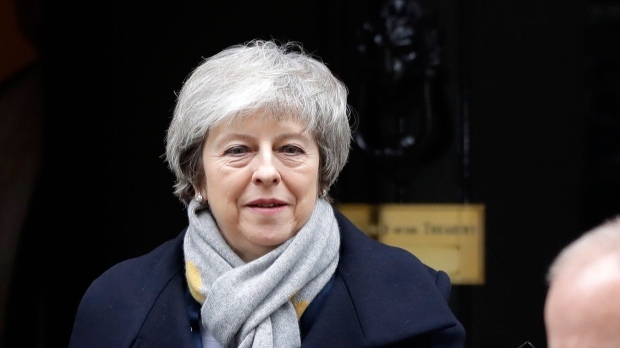 Several groups of lawmakers are trying to use parliamentary rules and amendments to May’s plan to block the possibility of Britain leaving the EU without a deal.